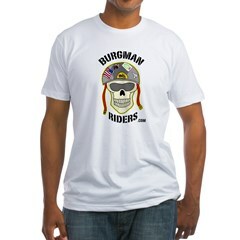 If you have a Burgman photo and story to share, you can contribute it here. Gary Johnson sent in this photo of his Burgman to share. Grant sent in some pictures of his new artwork on his Burgman. Here are the pics I promised of the audio install on my 2003 Burgman 650. Deb sent in the following photo to share. “Cruising with the Harley “dudes” and Honda Gold Wings. My Burgman has no problem “keeping up”. I’ll Be Damned. I’ve Never Seen a 650 Like This. Carl sent in the following photo of his very unique Burgman. This picture is looking forward where the stock windshield use to be. This one is looking at the front supports for the windshield.